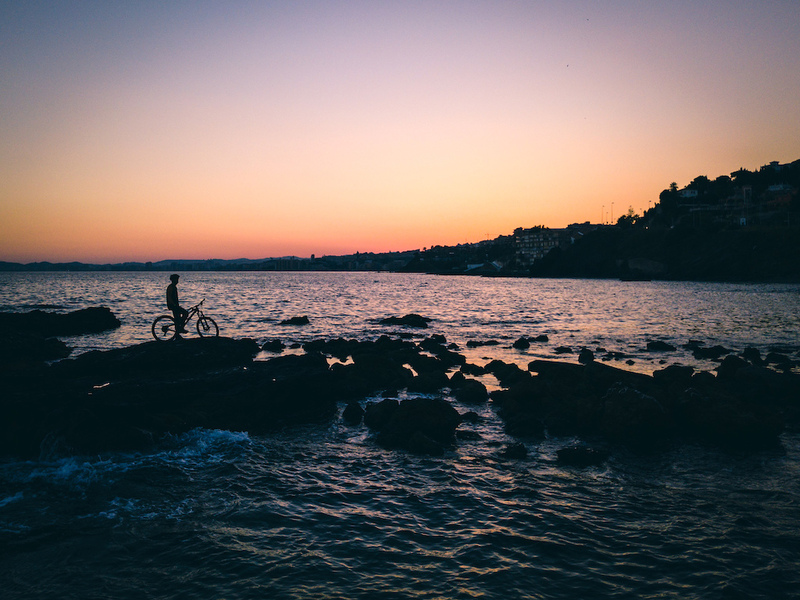 The south of the Iberian Peninsula is a place where riders from all over Europe escape to when they are sick and tired of winter and snow. Parallel to the southern shore of Spain, mountains called the Baetic System spread together with the Sierra Nevada range creating a land full of spectacular views. 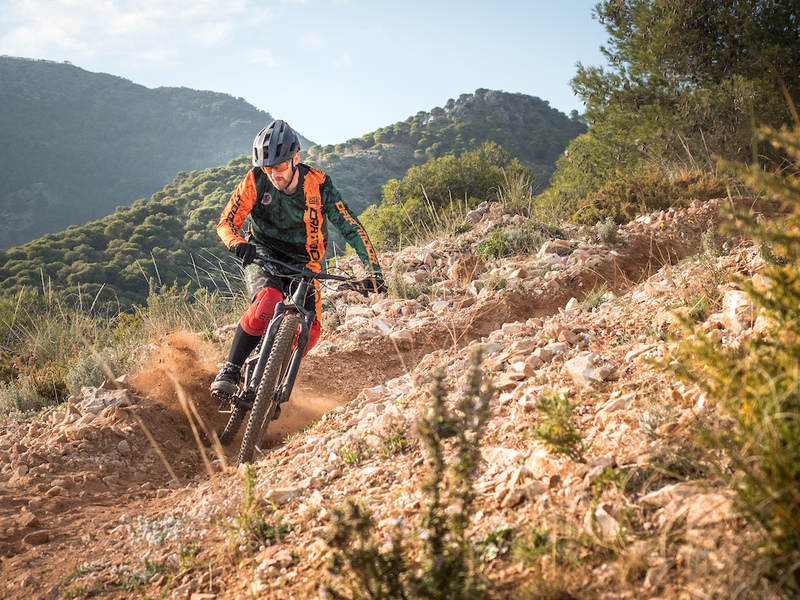 This region is not filled with typical Enduro trails, but there are countless gravel trails that allow you to go on an adventure by trail bike. Starting from 3000 meters (9840 feet) above the sea level we need to be prepared for snow and low temperatures. 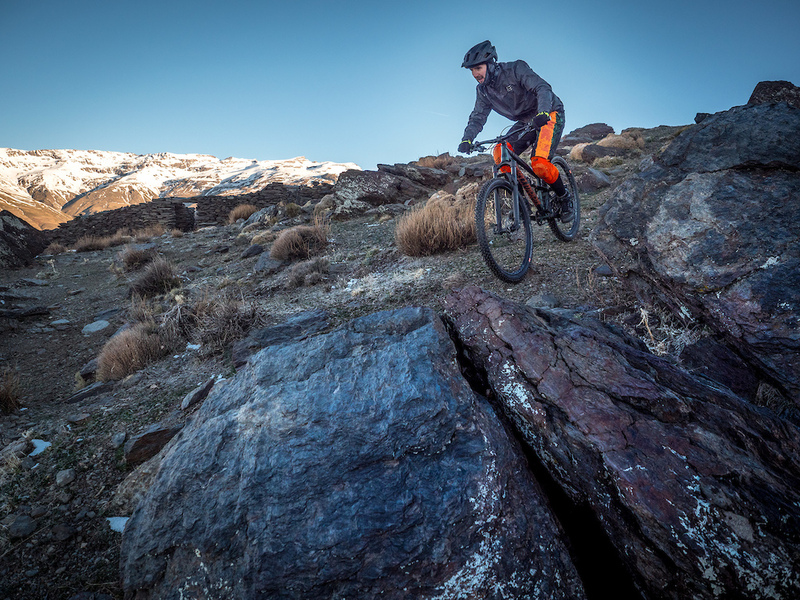 A mix of small shrubs and grass remnants give you the feeling of riding on some abandoned planet from sci-fi movies, but when you finally drop down a little, the rocky and rooty sections make things more technical. 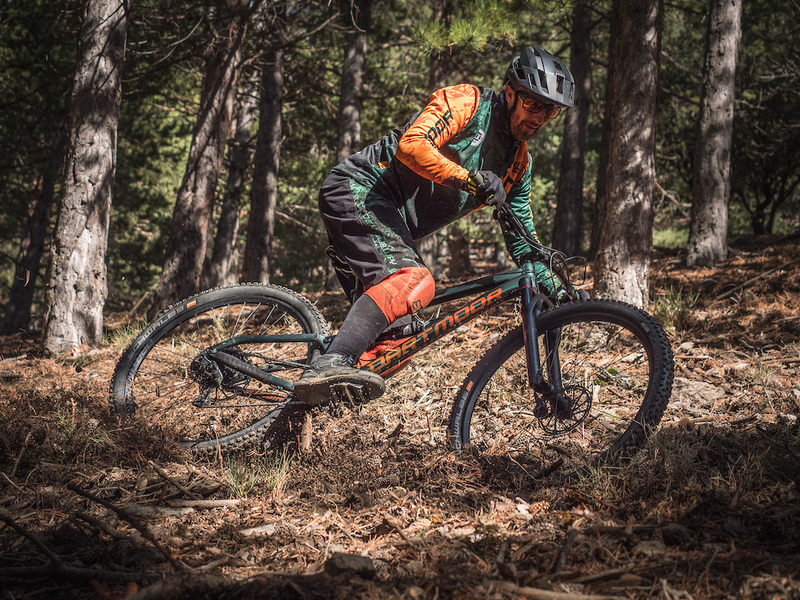 While bombing down the trail, the landscape changes with every foot of descent, showing more softness to the riders with a sandy rather than rocky and rooty type of ground. At this level it’s easy to spot some olive groves, grapes, and even citrus plants. As you hit the bottom of the mountain, it gets drier and only near rivers are there plenty of trees looking like some kind of jungle with lush greenery everywhere. Beside that you also need to be prepared to hit more stony/sandy ground and prickly shrubs that can hurt you. But the trails here are worth everything! At this level, even in winter the temperature rises and makes life easier for the rider. Right next to the shore, small cosy villages on the mountainous terrain create a fairy-tale-like labyrinth full of narrow and steep little streets, so prepare for more humans and cars on the way! Open view trails and ones covered with trees. 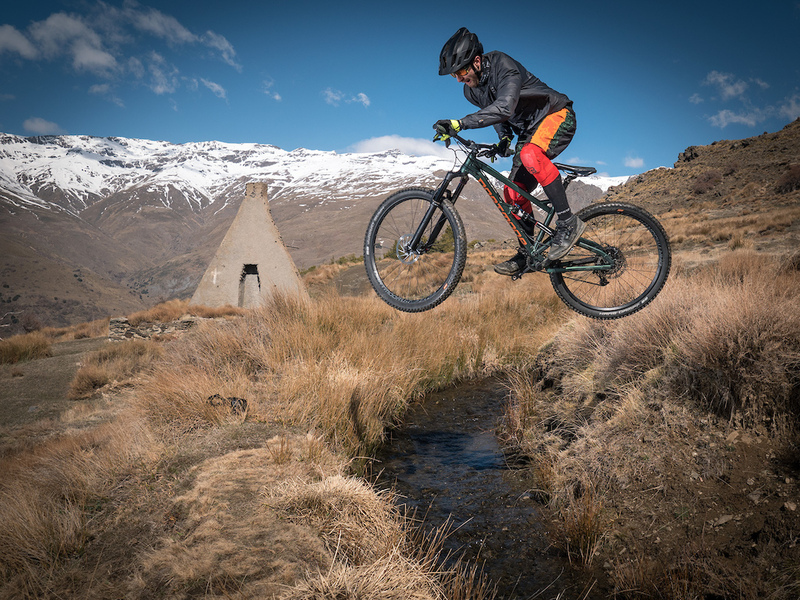 Jumps, stones, roots - this place gives you everything! The entire trip down from the Sierra Nevada to the shoreline of Costa del Sol is about 70 km (43.5 miles). 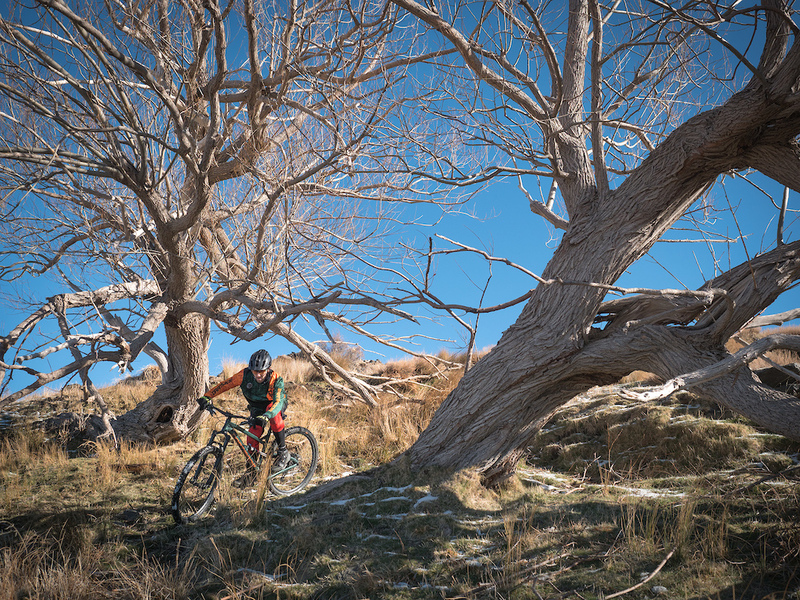 The diversity of nature, shapes of the terrain and ground gives you pure joy while riding a trail bike. From scenic views to flowy trails, this region offers it all. The route, however, is not only descents. Between the summits of the Sierra Nevada and the coastline, we have to cope with one lower mountain range. But it’s a perfect challenge for a 130mm travel trail bike with 29" wheels like Dartmoor Bluebird 29 used here by Piotr Krajewski. Breathtaking panorama. Perfect reward at the end of the day. Mediterranean is an ocean now? Pluto isn't even a planet any more. Jeez what's next? The original title prepared at our blog was "From Sierra Nevada's Peaks to the Costa del Sol". And video title is "From peaks of Sierra Nevada to the Mediterranean Sea" so all was well prepared. Article title was changed by Pinkbike before making it public but honestly we think there is no sense to blame anyone for this. 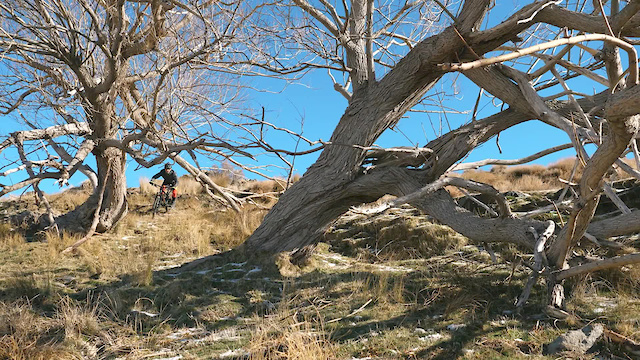 Video is pretty nice and shows great riding passion in beautiful scenery - let's forget this small editing mistake. Wish you nice rides!